eleni LLC | A great African success. Our success is based on the things we did differently. We first studied and understood what the underlying problems were facing market actors on the ground. We then designed a unique exchange: a spot first exchange with a holistic operational scope and appropriate technology. 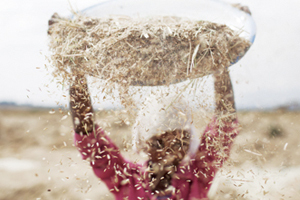 Most importantly, we tailored our design to the millions of very small farmers and traders that we aimed to serve. Like all great ideas, these innovations have now become conventional wisdom. An electronic warehouse receipt system with a fully integrated network of warehouses. An efficient modern trading system with standardized spot contracts. A real-time market data system transmitting prices in seconds from trading. A ‘T+1’ or next day payment clearing and settlement system, the only one in Africa. With quality grading, weighing, and warehouse receipting carried out at ECX warehouse sites, farmers and rural traders no longer wonder what quality or weight they bring. Buyers are guaranteed the quality and quantity they paid for. Trading on the basis of warehouse receipts and buyer pre-trade cash deposits ensures a successful transaction. ECX transfers title and payments between buyers and sellers on the next day after trade. In over five years of operation, hundreds of thousands of transactions have been conducted without a single payment default, trading order error, or system failure. 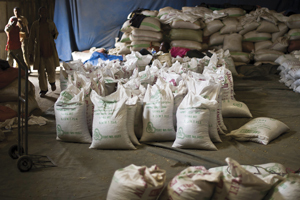 A warehouse operation in central Ethiopia. 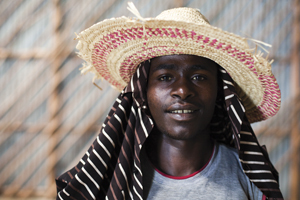 A young coffee farmer in southern Ethiopia. To level the playing field, ECX transmits price and trade data in real time to 100 electronic tickers in rural markets, to 1.1 million callers monthly on IVR call-in service, and to 800,000 subscribers on mobile SMS. 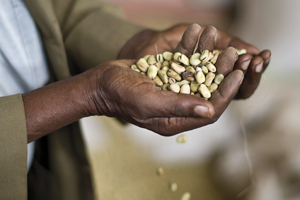 This information explosion has allowed 15 million coffee farmers to increase their share of the final price from 38% to 65%, as the margins to middlemen have narrowed. 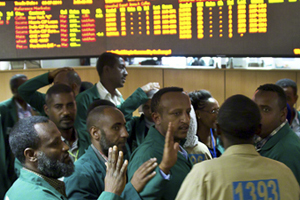 ECX trading connects 350 members and 15,000 clients, who traded over 600,000 tons and US$ 1.4 billion in 2012. More than 2 million farmers are directly engaged in the market through cooperatives who trade in ECX. Clean and sorted coffee beans. 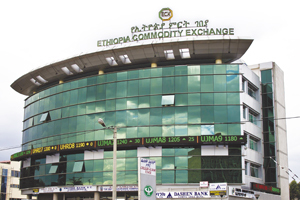 ECX in Addis Ababa, Ethiopia.